Congratulations to all the bookstores participating in the Great Greene Challenge! I know I’ve said this before, but I don’t think I can say it enough —thank you so, so, so much for supporting me, The Great Greene Heist, and diverse books. I am beyond humbled. I’ll be shipping out prizes to the winners (Watermark Books– the Grand Prize Winner with the most book sold! ), Odyssey Bookshop (winner of the challenge against Eight Cousins) and Flyleaf Books (winner of the random drawing) at the end of the month. Middle Grade Mayhem Book Launch! 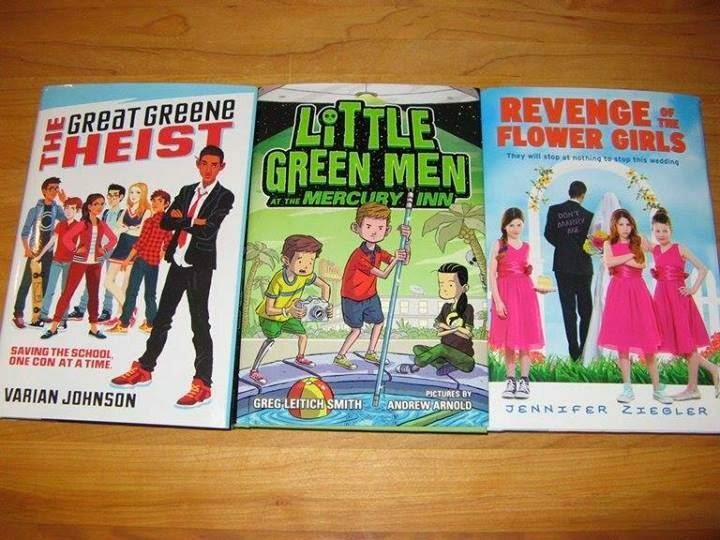 Please join me, Jennifer Ziegler, and Greg Leitich Smith at Bookpeople on June 14 at 2:00 as we launch our new middle grade titles! There will be shenanigans, mayhem, treats and books! It’s on the shelves (and I’m talking about it)! THE GREAT GREENE HEIST is now available! You can pick up signed / personalized copies at BookPeople and The Book Spot. The book is also available from your local independent bookstore, Barnes and Noble, Amazon, Books-A-Million, and anywhere else books are sold. – At Kirkus Reviews, I talk about the importance of diversity and dropping the reader right into the story. – At Nerdy Book Club, I talk about my own “code of conduct” in writing the novel. – At Project Middle Grade Mayhem, I talk about the inspiration behind the book and how my time at VCFA shaped the story. – And, on Sunday, June 1st at 1:00 CST, I’ll be talking with Hopeton Hay on KAZI 88.7. If you’re interested in checking it out, you can stream the station live. As a reminder, I will donate $1.50 for every copy of THE GREAT GREENE HEIST sold before and during the first week of release to Girlstart, a nonprofit that encourages girls’ interest and engagement in science, technology, engineering, and math (STEM). Specifically, I’ll be supporting their Summer Camp Scholarship fund called Send a Girl To Camp, which helps to sponsor girls for week-long camps focused on STEM programs. Save for a few events such as my joint launch with Jennifer Ziegler and Greg Leitich Smith (details coming soon), the #SharpSchuBookClub, and LeakyCon (!!! ), I’m taking the summer off, but I’ll be back on the road in the fall. I have been honored and humbled with all the attention and goodwill that the #GreatGreeneChallenge has garnered. So many authors, booksellers, librarians, educators, and friends have stepped up to support the book. I want to do my part as well. Therefore, I will donate $1.50 for every copy of The Great Greene Heist sold before and during the first week of release to Girlstart, a nonprofit that encourages girls’ interest and engagement in science, technology, engineering, and math (STEM). Specifically, I’ll be supporting their Summer Camp Scholarship fund called Send a Girl To Camp, which helps to sponsor girls for week-long camps focused on STEM programs. As an engineer, the spouse of a former engineer, and the father of two girls, Girlstart’s mission is very personal to me. Perhaps my girls will become engineers or writers. (Or both!) Maybe they’ll become teachers or lawyers or librarians. Whatever they decide, I just want them to have as many opportunities as possible. Girlstart helps to open up those possibilities. Updated to add: Thank you so much for participating in the #GreatGreeneChallenge. For all participating bookstores, please email me at vcj (at) varianjohnson (dot) com to let me know (1) that you participated in the challenge (if you’re not listed below) and (2) the number of books sold (if you’d like to provide that information). Again, there will be two giveaways–one for the store that sold the most books and another as a random drawing from all the stores that participated. There will also be separate giveaways for the “one-on-one” challenges. Thanks to many friends, there’s been a lot of support for me and The Great Greene Heist. “Speaking up is one great way to ask for change. But buying books may be an even better way. She encouraged readers to purchase a copy of the book from their local indie, with the idea that enough pre-sales could help the book make the New York Times Best Seller list and send a message that diversity in books matters. Many wonderful independent bookstores, including Eight Cousins, Inc and Odyssey Bookshop got involved, and then author Shannon Hale upped the stakes, challenging other indies to join into the contest. It’s all very, very humbling. I’ll be compiling a few sets of author goodies (signed books, swag, free Skype visits) contributed by many wonderful friends and authors. 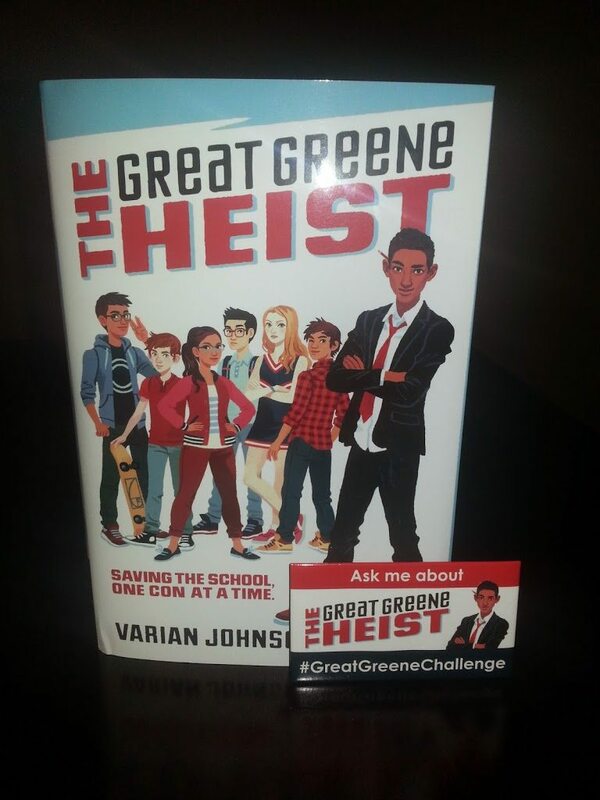 1) One package will go to the bookstore that sells the most copies of The Great Greene Heist. 2) The second package will be a random drawing of all the bookstores that have “signed up” for the challenge (no purchase necessary, just need to know who you are). 3) A separate set of goodies (provided by me) will go to the winners of each “one-on-one” challenge. 1) Kate Messner is offering a free hour-long Skype writing workshop that the winning store can use for an in-store event or give away to a great teacher-librarian customer. 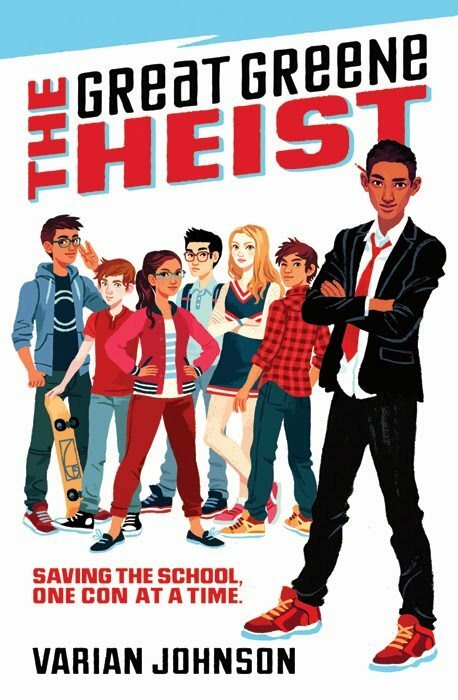 2) Grace Lin is giving a copy of The Great Greene Heist (along with artwork!!) away as part of the We Need Diverse Books Challenge and will give each participating bookstore a free print from her etsy store. 3) John Green is generously offering 10 signed copies of The Fault In Our Stars to any bookstore that can handsell 100 copies of The Great Greene Heist in the first month. 4) Skila Brown is donating a signed copies and bookmarks of Caminar, her debut novel-in-verse (which is a Junior Library Guild Selection and the recepient of starred reviews from Horn Book and School Library Journal). 5) Ally Condie is donating a signed hardcover set of the New York Times bestselling Matched trilogy. 6) Janet Fox is donating signed copies of her historical YA Forgiven. 7) Karen Sandler is donating a signed set of her Tankborn trilogy. 8) Author Bethany Hegedus, owner of The Writing Barn, has offered a 3 day/2 night writing retreat for two to the bookstore that handsells the most copies of The Great Greene Heist. The bookstore may gift the retreat to a deserving customer/writer/reader. 9) Signed books by author Donna Gephart. While you can order the book from any retailer, PLEASE consider ordering from your local independent bookstore or one of the ones listed here. In addition, I’m happy to announce that my two local indies, BookPeople and The Book Spot, will be selling personalized copies of The Great Greene Heist. BookPeople will also provide a signed copy of The Kelsey Job, a short prequel to TGGH, with each book sold. If you’re an indie that would like to be included, either leave a comment here, email me at vcj (at) varianjohnson (dot) com, or send me a tweet at @varianjohnson. And if you’re an author that would like to participate, (1) I would be forever in your debt and (2) email or tweet at the address above and I’ll give you additional details (or send a tweet to Shannon at @haleshannon, and she’ll get the info to me). I would love for this book to become a best seller, but even if it doesn’t, I am so grateful for all the support is has received so far. Thank you, thank you, thank you, for taking part in the #GreatGreeneChallenge. “A smart, charming, and hilarious novel featuring one of my favorite protagonists in years. I’d follow Jackson Greene anywhere, and The Great Greene Heist is a fantastic ride. – JUDE WATSON, author of Loot and In Too Deep (The 39 Clues). And here’s the revised cover! After the release of the initial cover, Scholastic got feedback from a lot of channels, and there was an overall desire to see more of the OCEAN’S 11/James Bond nature of the book. At the same time, we all wanted to stay with the same illustrator (the uber-talented Kali Ciesemier) and retain the spirit of diversity from the old cover. I love this cover, and I hope you all do as well. Varian Johnson‘s TO CATCH A CHEAT, a sequel to his forthcoming middle-grade caper, THE GREAT GREENE HEIST, in which an eighth-grade con artist and his crew must reunite to clear their names after being framed for a prank and stop a group of cheaters from stealing a school exam, again to Cheryl Klein at Arthur A. Levine Books, by Sara Crowe at Harvey Klinger (World). So happy to be working with Cheryl and the crew at Arthur A. Levine and Scholastic again! More soon! I really hate making New Year’s Resolutions. Let me clarify—I don’t hate making them, but I don’t do such a good job of keeping and tracking them. Last year, my goal was to write 1500 words a week. Did I hit it? Maybe. I never really tracked it, so it’s hard to say. Plus, I spent a lot of time revising The Great Greene Heist—and it’s hard to count those as new words, even though it often takes just as long to revise as to write a first draft. 2) Being okay with saying “No”. 2012 was a really busy year for me—I accepted a lot of teaching and speaking engagement (including a 10-day stint as a grad assistant at VCFA, a week-long teaching assignment at the Highlights Foundation Full Novel Workshop, and speaking at NCTE in Las Vegas, among other things). I promised my family that I’d cut back in 2013. 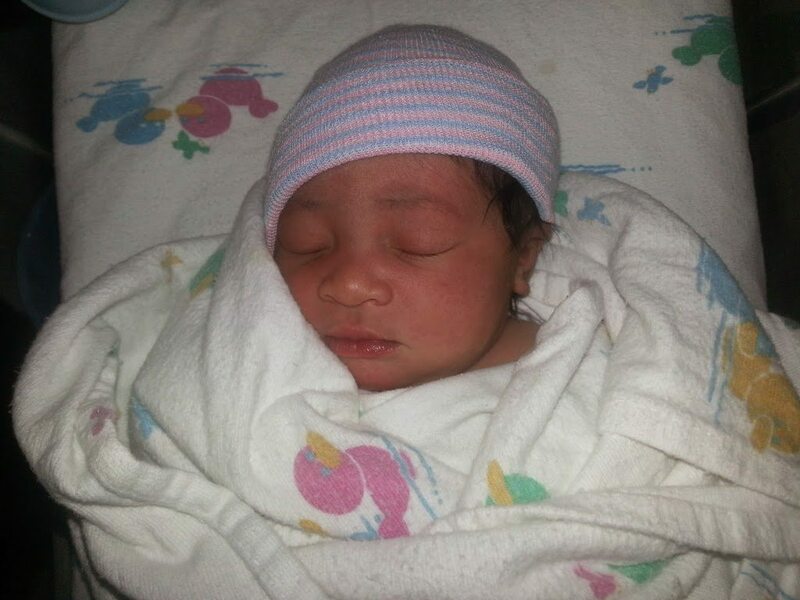 Even though I missed out of a number of events I usually attend, the time away was well worth it—I got a lot of writing done, and I had the opportunity to spend a lot more time with my daughter. I’ll be doing more events in 2014, but I still plan to be very deliberate about what I choose to do. 3) Being an author and a writer: When I talk to new writers, I often say that there’s a big difference in Varian-the-writer and Varian-the-author. When I’m in writer-mode, I’m just worried about me and the page. But when I’m working as Varian-the-author, I have to deal with everything else in the business—marketing, contracts, taxes, speaking engagements, invoices and payments, etc. With a new book coming out this year, I know I can’t totally neglect all of the business stuff, but I also want to make sure I nurture the writing as well. 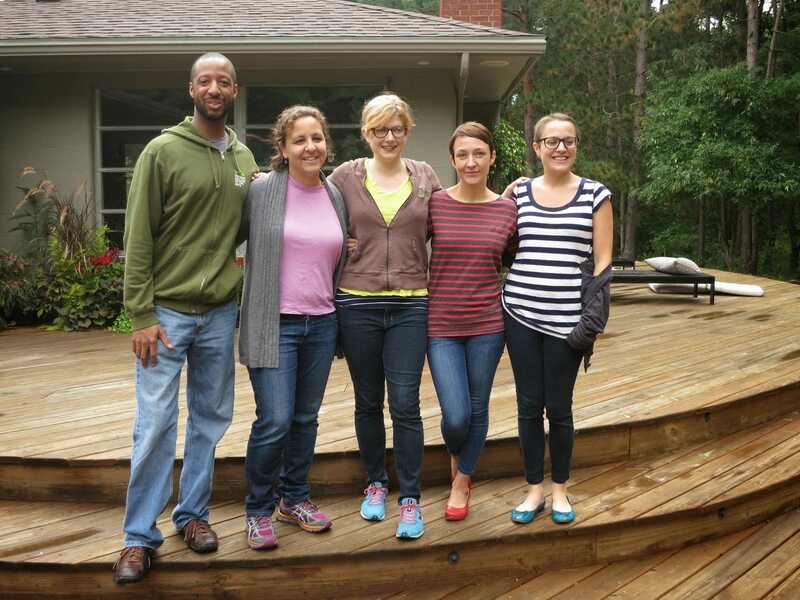 Writing retreats are really good for that, and I’m hoping to take two in 2014. And really, the best marketing is writing a new, great book. I’m sure there are more things to work on, but now it’s time to write. Happy 2014, people. 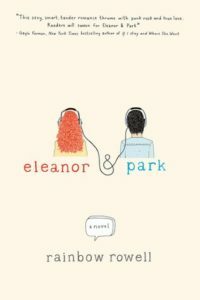 This post by Joy Piedmont at Someday My Printz Will Come pretty much sums up why I adore Eleanor & Park. Note 1: I don’t necessarily think it’ll win the Printz – my money’s on Boxers & Saints – but an honor would be a well-deserved recognition. Note 2: I also loved Rainbow Rowell’s Fangirl. Note 3: I loved the music threads in both Eleanor & Park and Nick and Norah’s Infinite Playlist, and would kill to read a novel that paid homage to late 80’s and early 90’s R&B / Rap / Hip-Hop in a similar way. If this book exists, please email me and let me know.